*Activities are subject to change and limited to availability. Today is Space Day which means Pretend City will be out of this world! Let’s explore the galaxy together. Today’s programming will be centered around our solar system, astronauts and space. We’re already seeing stars! Purpose Behind the Play: Physical development, reading and writing development, and concept development. 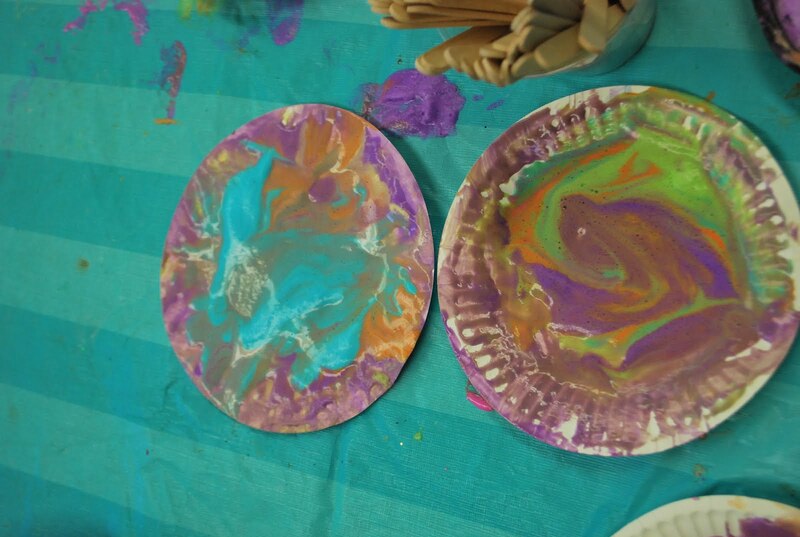 Smart Art (Art Studio-Times Vary): Planet Plates > Planets can big, small, colorful, or dull…it’s up to your little Picasso. In the Art Studio, we will be channeling our “outer” artistic side as we paint, glue, and decorate our own planets. Language Lesson (11:30 am): Name Rockets > We’re calling all astronauts, by name in fact! It’s your turn to practice identifying, writing, and spelling your name. We will create your own unique rocket after reading an “out of this world” book about space. Don’t forget to capture an Instagram worthy photo on our space-themed backdrop designed by one of our volunteers!